You only need to know one fundamental rule to do well on ACT Reading, and it’s not all that complicated. That rule is this: There’s only one correct answer choice for every question, and the other three answers can be eliminated based on definitively incorrect elements. In other words, the questions on the ACT Reading section are NOT subjective in any way! 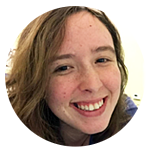 In this article, I’ll go through the types of incorrect answers you’ll see on the ACT Reading section and how to ruthlessly eliminate them so you’re only left with one solid winning choice. As we all know, the ACT is a standardized test. This means that the more people challenge the answers to the questions, the less validity it has as a measurement of student ability. The answers to all questions, even in areas that are usually more subjective like reading, have to be unambiguous. The only way to accomplish this is to restate something from the passage. Therefore, every answer must be DIRECTLY and CLEARLY supported by the text. If there’s no direct evidence, it’s not the correct answer. Otherwise, the ACT would encounter challenges to its questions, weakening its credibility. Once you get into the realm of literary interpretation, standardization breaks down. There are just too many ways of interpreting texts. This means you shouldn't make any assumptions on the test. What the passage says is what it means; even for inference questions, you can always find concrete evidence in the text for your answers. Now let’s take a look at the types of answers you should learn to eliminate. Incorrect answer choices on the ACT Reading section will fall into one of four categories. Once you do a few practice questions, you’ll be able to identify which answers fall into which problem areas. This is an answer choice that has no evidence whatsoever in the passage - it’s just stuck in there amongst more realistic answers. According to the passage, Cho would have determined that volunteers had experienced a placebo effect if which of the following procedures had created increased activity in the visual cortex of the brain? In the passage, it states that "To eliminate the possibility of a placebo effect, Cho also stimulated a nonacupoint, in the big toe." The correct answer in this case is clearly D based on the passage. 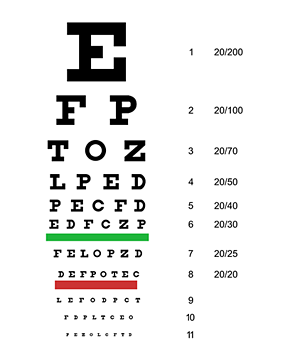 An example of an irrelevant answer choice would be C, "Having them read an eye-examination chart", because nowhere in the passage is the reading of an eye-examination chart mentioned as a part of the experiment. Why is this a dangerous option? Some test-takers are unaware that the passage doesn’t need to directly contradict an answer choice to make the choice wrong. Students might see an irrelevant answer choice and think it could be right because they missed something or the passage didn’t say it WASN'T true. Irrelevant answers are pretty common across the board, but they usually show up more in detail questions where students might think they just missed the part of the passage with evidence for the irrelevant answer. If a choice seems totally random, don’t assume the ACT wouldn’t put an obviously incorrect answer on the test. They would and they do, so don’t get fooled! After you read this article you're gonna have 20/20 vision on the ACT. Figuratively speaking. This is an answer choice that is the exact opposite of what’s stated in the passage. In the passage, the narrator uses crutches that were constructed by his grandfather, but his grandfather forgets to put rubber tips on them so he keeps falling. The family's response is to simply "buy the rubber tips and put them on the crutches". The opposite answer out of the choices given is D, "fix what wasn't wrong in the first place", because the actual solution is to fix what WAS wrong. The correct answer is A, "find a workable remedy for it". The ACT is counting on people rushing and not reading carefully enough. If the answer choice uses the same words that are in the passage, it’s easy to make a silly mistake and choose it because you missed a “not” (or, in this case, a "n't") in there. You'll often see opposite answers in detail questions because these questions are the most straigtforward, so most people don't focus too much on them. Read the questions carefully to avoid falling into this trap, and check your answers at the end of the section! This is an answer choice that incorporates concepts from the text but does so in a slightly confused order or relationship so that they don’t actually make sense as an answer to the question. A. brain function disorders are cured. B. unique handicaps are compensated for. C. different areas of the brain work together. D. the creative potential of disease is revealed. "The miracle is how they all cooperate, are integrated together, in the creation of a self." In the context of the passage, "they" refers to different areas of the brain; therefore, for this question, C is the correct answer. An example of a concept jumble answer would be D, "the creative potential of disease is revealed". This is because the main point of the passage is the fact that certain diseases reveal the creative potential of the brain to rewire itself. Even though D doesn't make sense as an answer to this specific question, it is still a concept that is discussed in the passage. Much like opposite answer choices, concept jumble answer choices count on you rushing and not reading carefully enough. You might remember something being mentioned in the text and go with an answer that contains that same concept but not read closely enough to realize the answer doesn’t actually make sense. These types of answer choices are common on big picture questions that ask about the main points of passages. This is when it's easiest to confuse you because the answer has to cover broader themes or connect complex ideas. Again, read carefully! Don’t make assumptions, and be sure you know exactly what the question is asking before jumping to conclusions about the answer. Brains be crazy. Don't let yours run wild on the ACT. This is an answer choice that offers a reasonable interpretation of the passage but is not evidenced directly in the text. A. give a sense of proportion to the numbers provided earlier in the paragraph. B. point out the limitations of the evidence provided by the Iowa scientists. C. supplement the paragraph's description of the comets with additional details about their size and capacity. D. provide readers with a sense of how old the planet really is. These lines read "That may not seem like much, but when talking about a planet billions of years old, it adds up." This refers to a statement earlier in the paragraph that comets bombarding the Earth's atmosphere would produce enough water vapor to add an inch of water to the planet's surface every 10,000 years. The real answer to this question is A because lines 64-66 serve mainly to put the earlier numbers in perspective. An example of a plausible interpretation answer would be D, "provide readers with a sense of how old the planet really is". The sentence does give a sense of how old the planet really is, so that could plausibly be its purpose in the paragraph. However, if you read closely, answer choice A is much more logical as a rationale for the placement of the sentence. This is probably the MOST dangerous type of wrong answer choice for students who aren't prepared for the ACT. If you’re looking at a passage on the test the same way you would look at something you’re reading in English class, it's easy to get trapped by an answer that’s plausible but not objectively true. These options are especially problematic (and prevalent) with inference and function questions, because you are being asked to look beyond the literal details of the text. In these cases, remember that you will never have to look so far beyond what's written that there's nothing in the text that directly supports your answer. Again, don’t choose any answer that doesn’t have concrete support in the passage. Even if it could be correct, if you don’t see the evidence you need to eliminate it. Let’s work on identifying and eliminating wrong answer choices for a real ACT Reading question. A. cosmonaut's feeling that he is now a citizen of space, not the former Soviet Union. B. cosmonaut's unrealized expectation that he will be treated like a hero. C. political transformation that occurred while the cosmonaut was in space. D. sixteen months that the cosmonaut spent in orbit around Earth. I nod or laugh on cue, while I try to read upside-down a story in the would-be journalist’s newspaper that has caught my eye. It is about the Russian space station and the cosmonaut who had been up in orbit during the takeover attempt and ultimate dissolution of the Soviet Union. After sixteen long months, they are bringing the capsule back. While the train carries me back to my current home and away from my former, I keep thinking about that poor cosmonaut coming back to find his whole world changed, to find himself a man without a country - at least without the country he left behind. Our goal is to find a direct connection in the passage between a fact stated by the narrator and her description of the cosmonaut. While the train carries me back to my current home and away from my former, I keep thinking about that poor cosmonaut coming back to find his whole world changed, to find himself a man without a country - at least without the country he left behind. Just reading those lines doesn’t quite give us the information we need. We have to read the whole paragraph - there must be something before that sentence that explains why the narrator says what she says about the cosmonaut. The end of the lines referenced in this question, "at least without the country he left behind," really brings this point home. The phrase referenced in the question ("man without a country") could ONLY be referring to the political changes between the Soviet Union as the cosmonaut knew it before he left and the country he will find when he arrives home. Step 3: Go Through the Answer Choices, and See Which One Sticks! This is an example of a plausible interpretation answer choice. It would be reasonable to infer that the cosmonaut could have this feeling after being in space for so long, but nowhere in the passage is this feeling referenced. No matter how tempted you are to pick these types of choices, remind yourself that nothing short of concrete evidence should be enough to sell you on an answer choice. This is an example of an irrelevant answer choice. This has nothing to do with anything in referenced in the passage about the cosmonaut. Don’t let answers like this trick you - even if you think this is a possible scenario, you can’t make any assumptions on the ACT. This answer choice looks good. This is what is being referenced in the line cited in the question. The cosmonaut is coming back to “find his whole world changed” in a political sense. This is an example of a concept jumble answer choice. Yes, the cosmonaut did spend sixteen months in space. This is directly stated in the passage (which is what makes this answer different from a completely irrelevant choice). However, the fact about him spending sixteen months in space doesn’t answer the question that’s being asked. 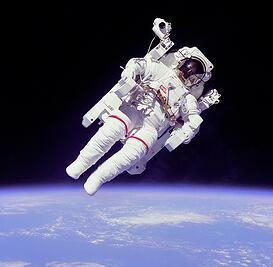 The concepts of the cosmonaut being “a man without a country” and the length of his time in space are not meaningfully linked by the author of the passage. Ok, looks like we’re bubbling in C! This process might not take as long on the test, but it’s helpful to walk through it and see the steps so you can understand exactly why all three incorrect answers can be eliminated. Once you accumlate enough practice, eliminating wrong answers will seem second-nature! The fundamental rule of ACT reading is that three out of four answer choices can always be eliminated! Every question you see on the ACT Reading section can be answered correctly by eliminating these types of answer choices until you are left with the one option that is evidenced directly in the text. Remember that, and you’ll ace this test! Need more tips for ACT Reading? 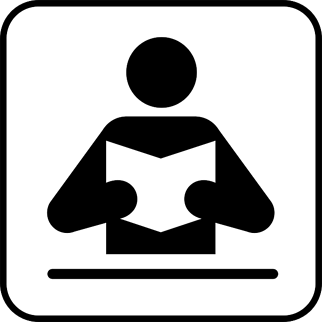 Take a look at these articles on how to read passages, how to answer vocabulary in context questions, and how to avoid running out of time. You should also check out this article on what's tested on the ACT Reading section and this one on the four types of passages you'll see. Now that you have all this great insight into the ACT Reading section, take a practice test to hone your skills even more!